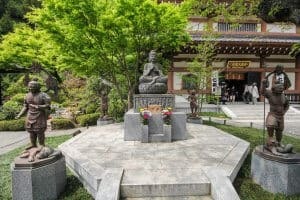 If you’re heading off on the Kamakura Hiking Trail, the Shokozan Tokeiji Temple is a great place to start. With its stunning garden, peaceful surroundings, and intrinsic quietness, this temple is a great way to plunge yourself into nature and feel the stress of city life fade away before you start your hike. In days gone by, it was very easy for a Japanese man to divorce his wife – basically, he just has to say that he wanted to divorce her and that was that. But for a woman to divorce her husband was a nearly impossible thing to achieve, and all sorts of hoops had to be jumped through before it could be brought about. Founded in the early 1200’s by a widower, it became a refuge for women who wanted to divorce their husbands. As the divorce procedure for a woman was so long winded, the temple became a haven for women who were going through the process, which could take up to three years. 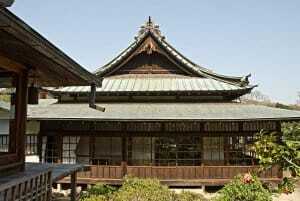 A famous resident was Princess Yodo, a daughter of the emperor. With her influence, the time period for a woman to divorce her husband was shortened to just two years. 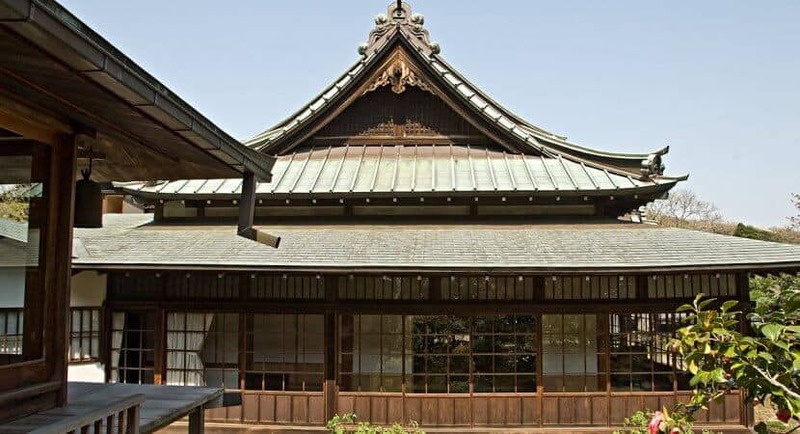 For almost six-hundred years the temple sheltered women and aided them in becoming free women, but when the Meiji Period swung around that all changed. All the same, this is what the temple remains famous for today. Lush, verdant, mossy – all apt words for describing the Shokozan Tokeiji Temple. The buildings are practically smothered with green, and are surrounded by trees, shrubs and plants which paint the landscape in emerald hues. Even the stones are covered in it. Colorful flowers pop up and seem like shining beacons amongst the foliage. During my visit, I saw the most incredible berries – a medley of vibrant purples and blues like a spill of petrol. 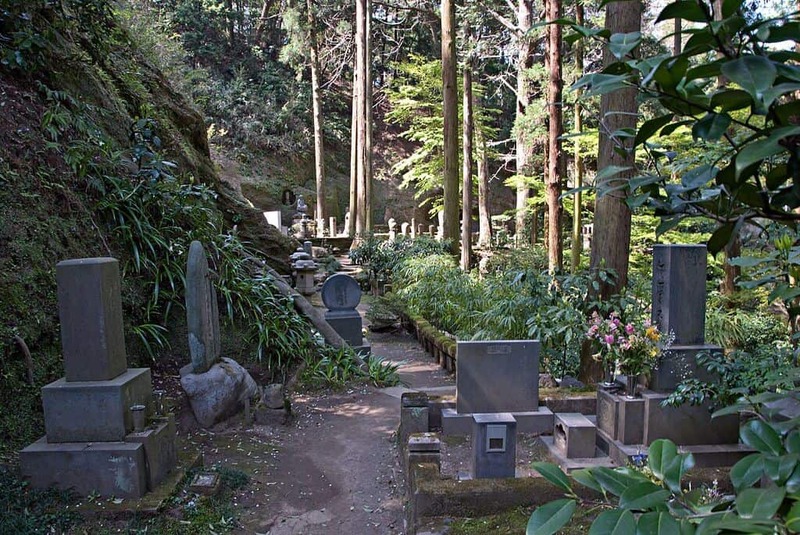 Take a peaceful walk up through the forest graveyard and let yourself be enveloped in nature. This is a fine specimen of temple in Japan and perhaps a top one to see because of its unique history and appearance. 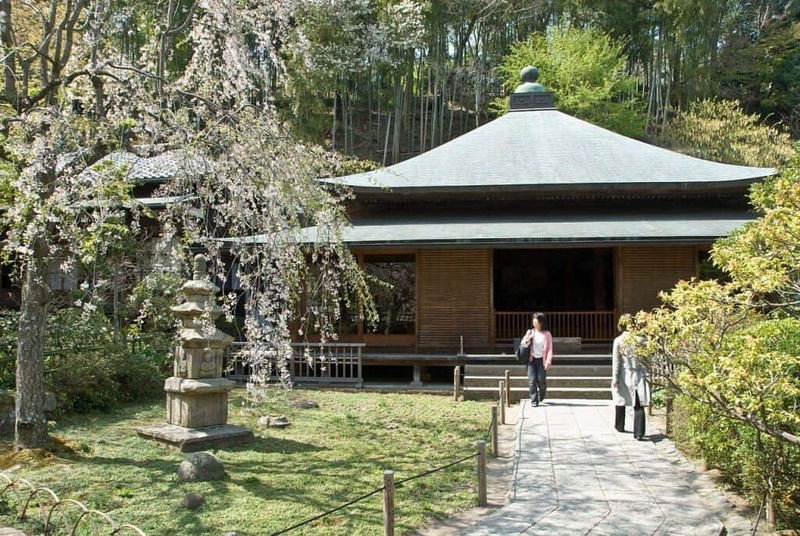 If you’ve been to dozens of other temples in Japan, perhaps you have yet to visit one quite like this – a temple so nestled in nature and so part of its surroundings. This is a quiet, spiritual, peaceful place – if you’re in need of some zen time, this is right up your street. There is also a small museum in the complex with occasional exhibitions at an extra charge. I recommend going either early in the morning or in the late afternoon, at times when the rising or setting sun will come piercing through the branches in an ethereal way and send scatters of dappled light across your path. At only 200 yen entry it’s a bargain as well as a beauty. It’s right across the road from the Kita-Kamakura train station on the JR Yokosuka line, you can’t miss it. Visit the website for more details.